Wedding cakes Stellenbosch, Cape Town: This was today's wedding cake at Vondeling. The bride requested a chocolate drip cake in soft pink and cream. 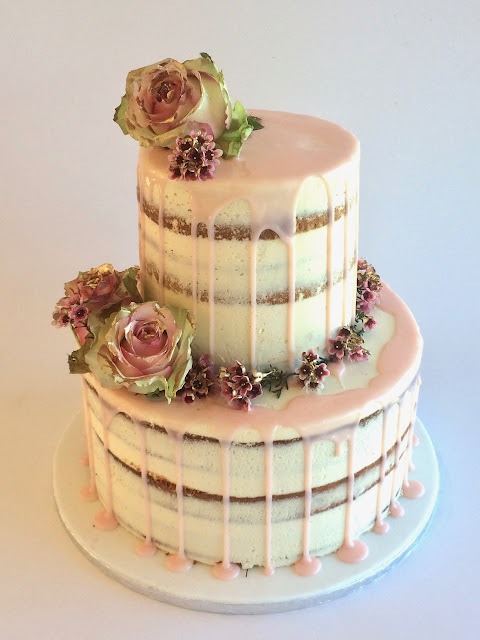 The fresh flowers had a touch of edible rose gold painted on them.